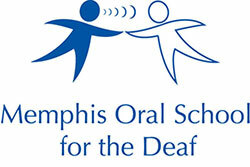 MOSD is a member of OPTION Schools Inc., this membership organization of Auditory Oral Schools is made up of 39 schools world-wide which work closely with parents and communities, teaching children who are deaf or hard of hearing to listen and talk -- and succeed! Founded in 1980, OPTION worked to bring together Listening and Spoken Language schools to share resources and overcome challenges. Today OPTION Schools Inc. continues in their mission, supporting its members and working to significantly improve awareness of auditory-oral education. Cochlear is the global leader in implantable hearing solutions. It has a dedicated global team of 2,000 people who deliver the gift of sound to the hearing impaired in over 100 countries. Its vision is to connect people, young and old, to a world of sound by offering life enhancing hearing solutions. Cochlear’s mission of “Hear now. And always” embodies the company’s commitment to providing its recipients with the best possible hearing performance today and for the rest of their lives. Over 25 years Cochlear has helped over 200,000 people either hear for the first time or reconnect them to their families, friends, workplaces and communities. Advanced Bionics is a global leader in developing the most advanced cochlear implant systems in the world. Founded in 1993 and partnered with Phonak under the Sonova Group in 2009, AB is the only American company developing cutting-edge cochlear implant technology that restores hearing to the deaf and allows our recipients to hear their best today, tomorrow, and always. At AB, our mission is to improve lives by developing, manufacturing, marketing, and supporting high-quality, state-of-the-art hearing technology for those with severe to profound hearing loss. MED-EL offers implantable solutions across the hearing loss spectrum, including cochlear and middle ear implants, and combined electric-acoustic stimulation. When the scientists and engineers who founded MED-EL began researching cochlear implant technology in the 1970s, they made a commitment to consistently reinvest a substantial percentage of the company’s revenue in research and development, keeping that promise for more than 30 years. Past and present research has led to innovations such as bilateral cochlear implantation and electric-acoustic stimulation. Research efforts contribute not only to advances in technology, but also to expanding candidacy criteria and improvements in medical reimbursement. ASHA is the professional, scientific, and credentialing association for 140,000 members and affiliates who are speech-language pathologists, audiologists, and speech, language, and hearing scientists in the United States and internationally. Today’s wide range of tools, devices, and systems can help students who are deaf or hard of hearing thrive in an educational setting. This guide focuses on those resources, tech tools and expert tips that students of all ages can use achieve academic success. There are countless smartphone apps for Android or iOS that can assist college students who are hard of hearing. Learn more about educational tips and scholarship opportunities for individuals with hearing loss.